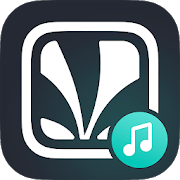 Right now there are many music streaming apps available on playstore that include Amazon music, Hungama, Gaana, Saavn and Jio Music and the list goes on. On Tuesday, Reliance made an announcement about the merger of Jio and Saavn music app. If you are Jio’s network, then here’s a sweet deal for you all! So the prepaid and Postpaid users of Jio sim will be getting access to Jio Saavn pro membership for 90 days. In today’s post we are going to give you a download link for Jio Saavn apk so you can install it in your android phone without using play store. Install the app and grant necessary permissions while installing. Login to the app and enjoy your free music for 90 days.